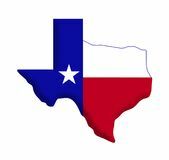 The Texan language is a complex blend of Redneck, Spanish, and plain English. These phrases are about as Texan as they come. This one is less of a saying per se, and more of a weird quirk in our state. Folks in some areas of east Texas, call access roads a “feeder” and pretty much the rest of the state calls them, well, access roads. In any event, the “feeder” part throws people off who aren’t from here, or don’t live in the East Texas thicket. It’s funny that people spend all summer wishing for the cold, because almost as soon as the weather hits a “chilly” 45 degrees out, Texans in all shapes and sizes decide that they’re ready for some sunshine and hot weather. We Texans have short term memory loss every winter when it comes to the cold. It may be because we’re just not acclimated to the “cold” that we see here. After spending 9 months of the year with the A/C on in our cars and house, it’s hard to enjoy being half frozen for a month or two. At some point in all of our lives when traveling outside of our state, someone has made a comment about Texas being where we ride horses to school and work. At that point, we’ve had to explain that no, we don’t all ride horses to school and work. Contrary to popular belief, Texas is a modern state with modern amenities, so assuming that we ride 4 legged animals everywhere is only kinda true. When we’re telling folks that they should come by, rarely do we give accurate descriptions of direction. I’ve had people from Dallas, tell me to “come down” to their city from Austin. I’ve heard folks from the Valley tell folks from San Antonio to “come up” and visit. If you ever hear a Texan say “come down / come over / come down”, they’re basically just telling you to stop by wherever it is they may be. Finding directions is purely up to you. In Texas, football is king. For the most part, our lives revolve around it, which is why we have all asked the people we meet whether their high school was a 5a, 4a, 3a, 2a, or 1a. It’s a “secret” code that helps us gauge how big of a town that other Texan comes from. All Texans that have seen the Selena movie can quote the scene when the two cholos cruise by her bus that is stuck on the side of the road. When Selena’s bus, Big Bertha, proceeds to pull the bumper off their low-rider, one of the dudes says, “Anything for Selenas”. It’s become a classic Texas movie quote that all Texans who have seen the movie can reference. Nowadays this line gets thrown around a lot for innuendo purposes, but it’s still as Texan as they come. It comes in especially handy when trash-talking with people who aren’t from Texas. Like it or not, all Texans have to throw it out there once or twice in their lifetime. These are simply the famous last words of many drunk Texans. What are Texans if not people with big egos? Far too often the Texas ego, aka Texas Swagger, leads to the belief that doing something dumb is a good idea. More times than not, those instances involve beer, which is why this phrase gets used far too often. Use of this phrase should be followed by “don’t try this at home”. The Texas Legislature needs to officially designate this phrase as the National Verb of Texas. Fixin’ to is one of my favorite Texas-isms that still throws foreigners off. The look on their face when we say we’re “fixin’ to” do something is priceless, and one that never gets old. In fact, I’m fixin’ to find a non-Texan that I can say it to so I can have a good laugh. I must be part Texan! Didn't even know there is an imitation Dr. Pepper!!! Good grief! My husband discovered Dr. Pepper when he was in the south (Arkansas) with Army Reserve.